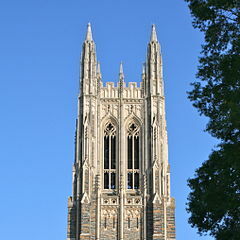 Many of Duke's academic programs have identified written communication as one of their primary student learning outcomes. Across our academic curricula and co-curricula, there's a broad commitment to teaching writing as a tool for reflection, analysis, and communication. This session introduces key concepts for teaching writing in the disciplines: articulating objectives, constructing appropriate writing tasks, giving effective feedback, developing sound evaluative methods, aligning writing skills development across courses in a program, realistic considerations of faculty labor, and others. Departments and programs that are ready to engage more deeply in developing plans for addressing undergraduate student writing will be encouraged to continue their consultations with Professor Moskovitz throughout the year, as they are able. This session is part of the monthly Assessment Roundtable organized by the Trinity College Office of Assessment. A light lunch will be provided. Please RSVP in advance.